Serpentine Pavilion 2015 designed by selgascano. Photograph © Iwan Baan. 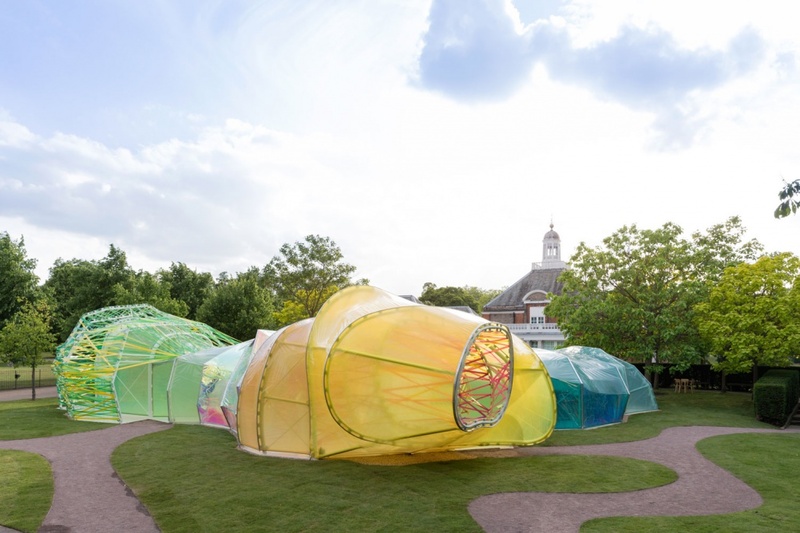 The Serpentine Gallery has injected a burst of colour into Kensington Gardens this summer with its 2015 Pavilion installation. With 2015 marking the 15th anniversary of the Serpentine Gallery’s Pavilion commission, a multi-coloured, interactive maze – which visitors can pass through – has been installed. 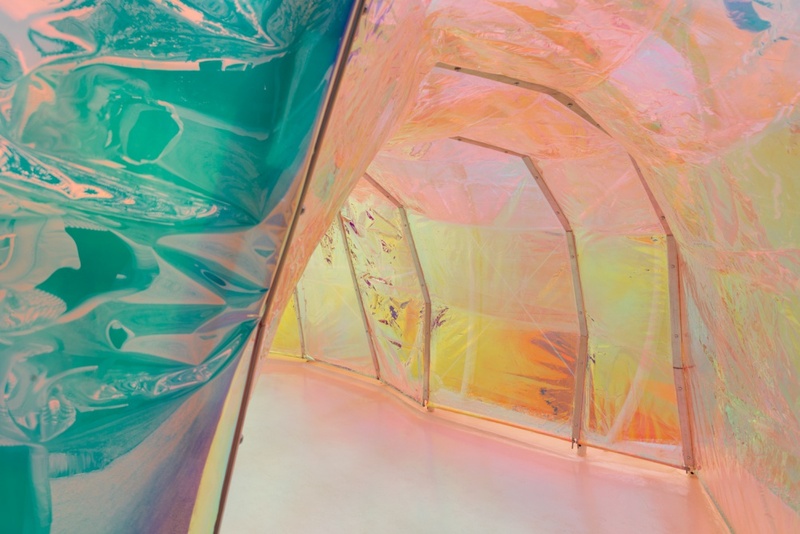 Designed by Spanish architect selgascano, the installation is a polygonal structure made up of translucent, fluorine-based polymer that is weaved together. The floor is made from concrete. There are four entrances to explore the structure, and hidden within the centre also lies a Fortnum & Mason café, and an open space intended to be used for gathering, and entertainment at night. 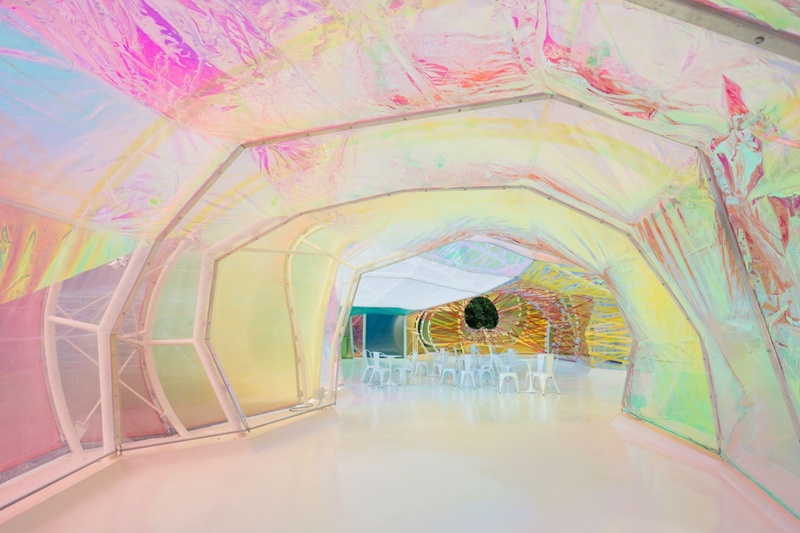 Selgascano says: “We sought a way to allow the public to experience architecture through simple elements: structure, light, transparency, shadows, lightness, form, sensitivity, change, surprise, colour and materials. 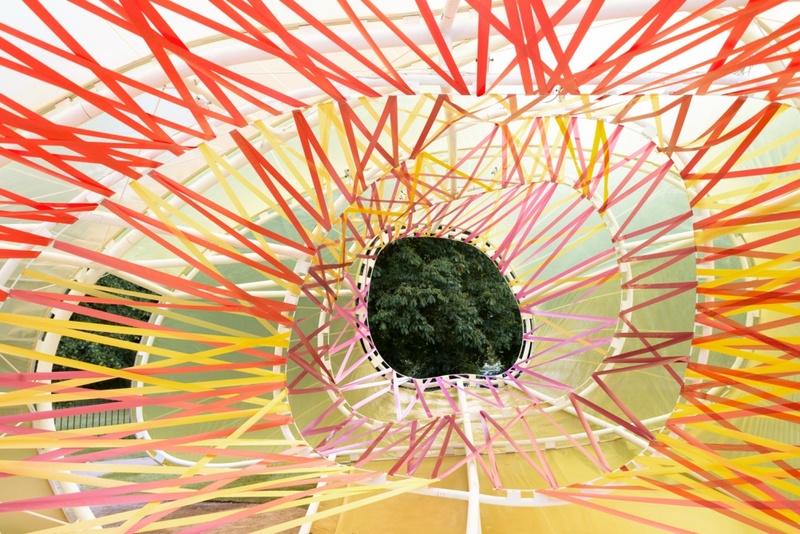 The Pavilion, which sits at 27m wide and 4.6m tall, is open from 25 June – 18 October 2015 at Kensington Gardens, London, W2 3XA. Entrance is free. 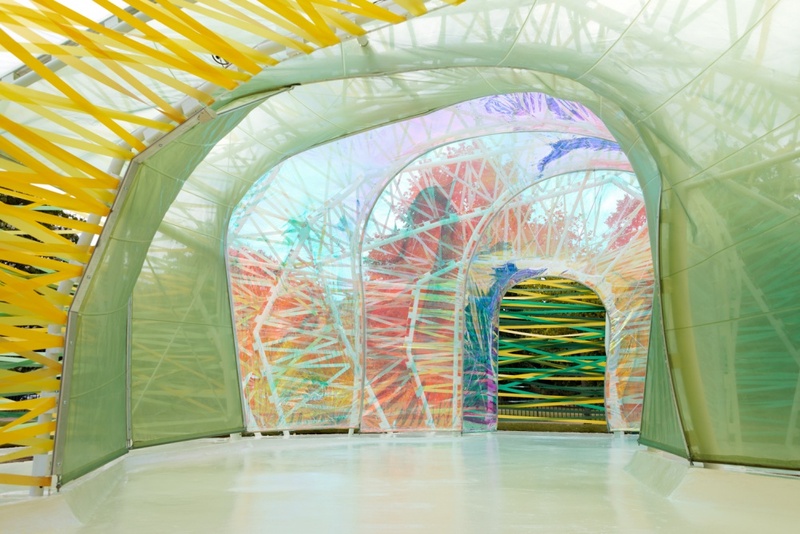 Serpentine Pavilion 2015 designed by selgascano. Photographs © Iwan Baan. 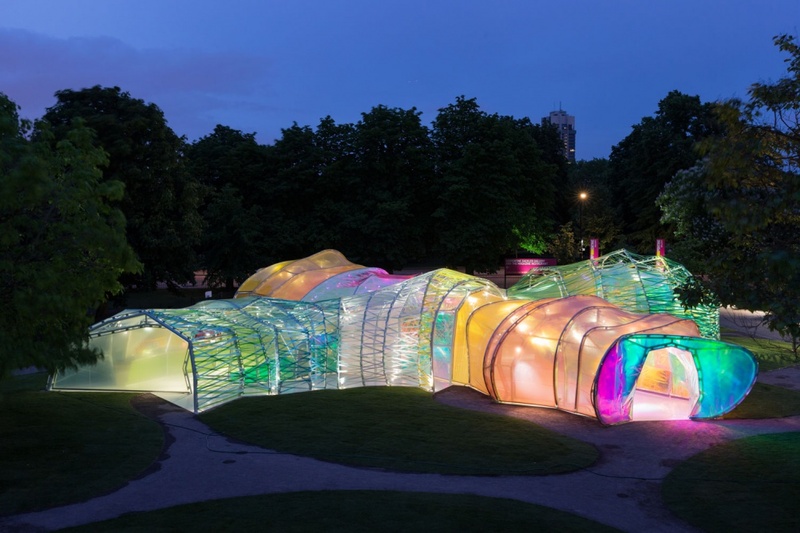 Serpentine Pavilion 2015 designed by selgascano (25 June – 18 October 2015). Photographs © NAARO.